In this podcast Dr Conrad Leyser of Worcester College, University of Oxford, looks at the life, ideas and significance of St Augustine of Hippo (354-430 AD). 1. Who was St Augustine? 2. St Augustine's childhood education & early career. From Carthage to Milan. 3. Augustine's early thought. Manichaeism and the struggle between good and evil. 4. 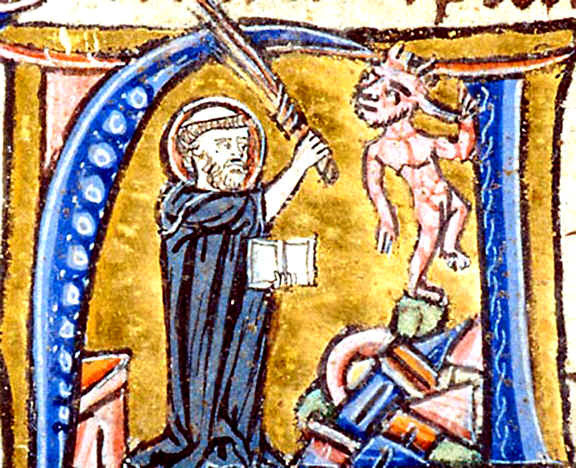 Augustine finds the Manichaeism view of evil as inadequate. 5. When does Augustine proclaim himself a Christian? 6. Augustine's life as a bishop. 7. What are Augustine's key ideas? Evil and the human will. 8. A democracy of moral value - all people and every institution is fallible. No-one can claim to 'know' God's purpose. 9. Augustine encourages people to question and examine life and God. 10. What was Augustine's influence on medieval thought? 11. Augustine and the Catholic Church. Monastic life without private property. 12. 11th century Papal move to make priests live as monks. 13. Augustine's death and the invasion of the Vandals.